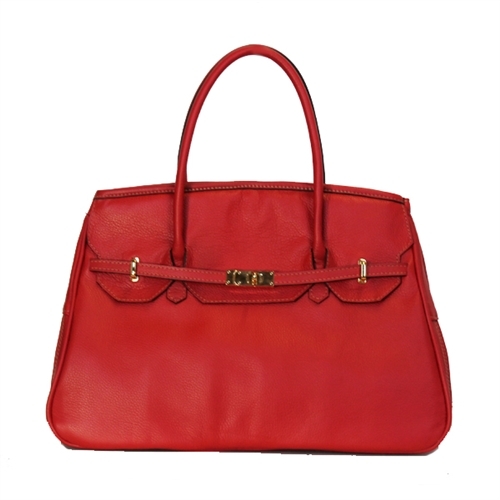 Introducing The Katie Bag by Petote. Shown here in red. 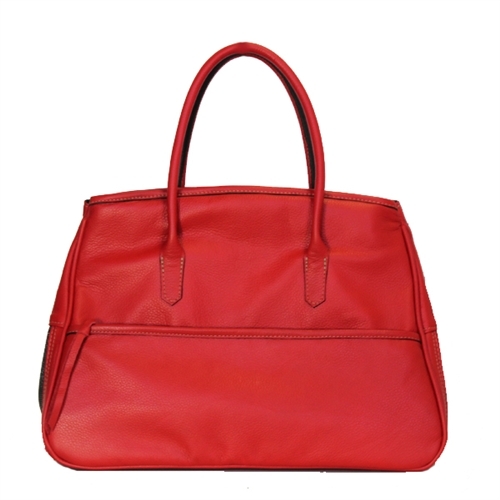 This all leather designer pet carrier is a must have for the stylish pooch. This chic and stylish dog bag looks just like your favorite designer handbag. 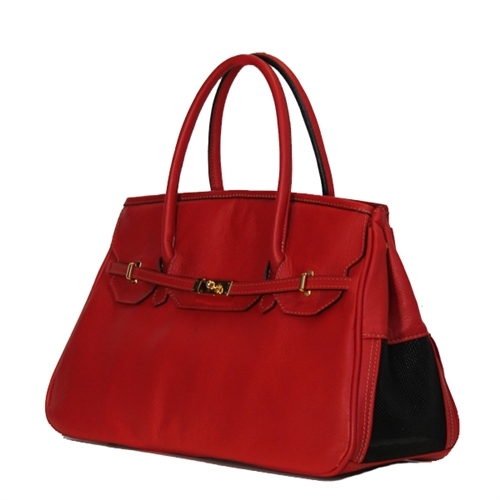 The Katie Bag is made of soft pebbled leather and features designer signature hardware. Vented on both ends with top zip entry. Side zipper pocket for storage on back side. Lined with waterproof nylon and features removable, washable faux fur bedding. The Katie Bag measures 18in L x 12in H x 7in W. For small dogs under 7 lbs. Airline approved. Available in 5 great colors. Choose from black, antique tan, red, orange, or cobalt blue. Designed and manufactured in the USA.